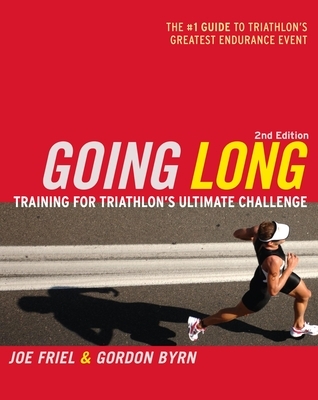 Internationally recognized coach and best-selling author Joe Friel teams up with ultra-endurance guru Gordon Byrn in this second edition of "Going Long," the most comprehensive guide to racing Ironman(r) distance triathlons ever written. Combining science with personal experience, Friel and Byrn prepare every triathlete, from the working age-grouper to the podium contender, for success in triathlon's ultimate endurance event. Whether you are preparing for your first Ironman(r) or your fastest, "Going Long" will make every hour of training count. Inside this groundbreaking second edition from best-selling authors Joe Friel and Gordon Byrn you will find more than 40 sport-specific drills to improve your technique, making you more efficient at swimming, cycling, and running. Sport-specific chapters outline the stages of development for each of the three disciplines of triathlon and describe drills to improve form and efficiency. A newly expanded section on training the mind explores the all-important psychological aspects of racing, including goal-setting and visualization. A detailed appendix includes key training sessions, workout examples, and strength training progressions. In addition, proven key workouts for each sport and a complete strength training program will help you build the muscular endurance that is critical to Ironman success. Time commitment, burnout, and injury are realities that every athlete must face in Ironman prep. Friel and Byrn offer a simplified approach for working triathletes to help them balance their training time with other obligations. Also new to the second edition is a chapter on wellness and recovery from Dr. Jeff Shilt with invaluable information on monitoring and maintaining your health during the rigors of training. This new advice includes plentiful details on common aches and pains and will help you target nagging overuse injuries with an active recovery strategy to speed rehabilitation. "Going Long" has long been the best-selling book on the subject of training for the Ironman. Now this completely revised new edition, Friel and Byrn directly advise the novice, intermediate, and elite triathlete, making it the most comprehensive and nuanced guide to Ironman training ever written. "Going Long "is the book you will return to, season after season. Joe Friel is one of the most recognized names in triathlon coaching and the best-selling author of "The Triathlete s Training Bible, Your First Triathlon, " and "The Cyclist s Training Bible." His clients include professional and amateur triathletes, duathletes, road cyclists and mountain bikers. He is a certified USA Triathlon and USA Cycling Coach and holds a master s degree in exercise science. Gordon Byrn is an elite long-course triathlete and coach certified by USA Triathlon, Triathlon Australia, and the American Swim Coaches Association. One of the best-known ultra-endurance athletes in the world, he has raced Ironman competitions in Hawaii, Australia, Canada and New Zealand."